Would you like to know how you can attract new customers to your business, for free, with virtually zero risk? You can do this by creating what I call Reciprocal Referral relationships with other small businesses in your local community. You want to work with businesses that provide complementary services – e.g. companies who interact with the same type of customer, but who don’t provide the same exact services as you do. For example, let’s imagine you’re a massage therapist. Massage therapy and chiropractic are a good fit because they both address pain. Massage therapy and acupuncture could also be a good fit because they’re both focused on relaxation. And massage therapy and yoga might be a good match as well. The easiest businesses to start working with are businesses that you already have a relationship with. For example, if you’re a massage therapist, you may already be friends with a chiropractor, an acupuncturist, and a yoga instructor. However, if you know about a potential partner, but you don’t know them personally, simply ask to be introduced by a mutual acquaintance. If you don’t know anybody who could introduce you, then the next best thing is to become a customer of the business you’d like to partner with. It’s a good idea to try the company out anyways, because you want to make sure that you’re forming a relationship with a business that provides excellent services and treats their customers like gold. Here’s one more thing to keep in mind, when identifying potential partners. You want to be working with businesses that already have lots of customers. And they should have a sizable customer email database, because you’ll be executing your Reciprocal Referral campaign via email. Next, once you’ve established a relationship with a potential partner, you’ll pitch the Reciprocal Referral concept. Basically, you’ll offer to recommend your partner’s services to your customer email list if he’ll recommend your services to his customer email list. This is a great deal for both of you, because you both get introduced to new potential customers, but no money has to change hands – so it’s really simple and easy. Furthermore, because you’ve vetted your potential partner and you know they offer a high-quality complementary product service, you’re doing your customers a favor by introducing them to a trusted company who will treat them right. Also, it’s a good idea to offer a special discount to each other’s customers in order to sweeten the deal and give people an extra reason to try out the other company. This is great for your customers because you’re not only recommending them to a trusted provider of a service they want or need, but you’re also giving them a chance to save some money in the process. Assuming your friend likes the Reciprocal Referral concept, now it’s time to take action. As I said earlier, the easiest way to run this type of campaign is via email marketing. You’ll need to have an email list of your own, and you’ll you want to make sure you’re partnering with another business that also has an email list of customers. What you’ll do next is simple: Send out an email to your list endorsing your friend. And then have your friend send out a similar email to her list endorsing YOUR services. Offer each other’s customers a special discount, and use a deadline to motivate people to take advantage of the discount. After you’ve done this type of promotion once, run another campaign with that business owner in 6 months to keep the relationship alive and strong. These relationships are very valuable assets, so think of them as long-term relationships rather than one-time promotions. In addition, you’ll also want to create promotions with other businesses on an on-going basis, so you can benefit from the exposure to even more new customers. You can schedule these types of promotions as often as once per month, and your customers will be grateful to you for introducing them to high-quality providers and hooking them up with special offers. Best of all, you’ll be attracting FREE customers to your business on an on-going basis, because all of your partners will be introducing you to their customers – at no cost! Think about what business owners do you already know who would be a good fit for a reciprocal email promotion? Take a couple minutes and brainstorm at least 2 or 3. And then contact them to see if they’d be interested in doing a promotion with you. Want More Local Marketing Tips? One of the best marketing opportunities for local businesses is local search engine optimization (SEO). 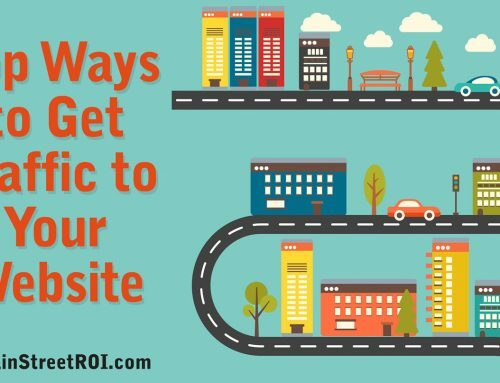 Local SEO is the process of getting your business to show up in Google’s local results. And we’ve created a step-by-step checklist to show you how to do it right.